Where am I? Home » Why choose Carpetright? No other flooring specialist loves your floor as much as we do! Our team of specialist buyers travels the world, searching for products with the highest quality at the best price! Because we have over 700 stores in Europe are able to buy in bulk and that is reflected in our prices. We commit ourselves to buy top quality products and offer our customers the best service. 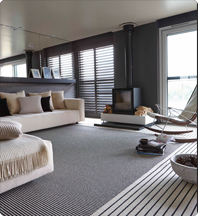 Our priority is to ensure you that we can help you and advise you during the entire process of choosing, buying and laying your floor. Whatever budget you have, you will always find the perfect floor at Carpetright.